The Cathedral of Notre Dame was founded in the 11th century on the hill of Chartres. The original building was destroyed by fire in 1194 and the current cathedral was built in the mid 13th century. 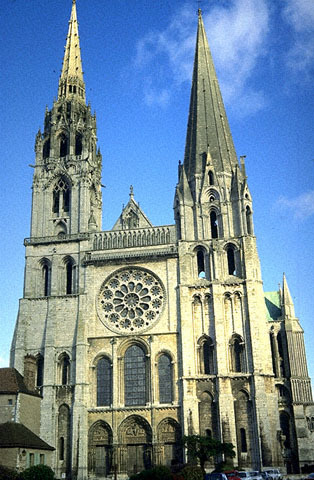 Chartres Cathedral is considered one of the finest examples of Gothic architecture. The stained-glass windows, in which blue glass predominates, are especially impressive. Registered as World Heritage by UNESCO, the cathedral is well known throughout the entire world.